Ein bisschen Rap, ein bisschen Folk, viel Pop und das alles sehr dynamisch und eingängig vorgetragen - aus diesem Holz könnte durchaus der nächste Sheeran-Hit geschnitzt sein. Ist jedenfalls aus seinem gerade frisch veröffentlichten Album "[Divide]" die nach wenigen Stunden bestplatzierte Nummer bei iTunes und hat meines Erachtens auch vieles von dem, was einen Charthit ausmacht. Cooles Ding.<br><br>Knappe 5.
irish zum ersten! klasse kombi aus irish folk, rap und pop. klasse gesungen (und gerappt ;-))! gefällt sehr<br>edit: gefällt mir bereits nicht mehr so sehr! Ein netter Schunkelsong, der gute Stimmung verbreitet. <br>Und gut geeignet dafür, um ihn z.B. am Lagerfeuer zu gröhlen.<br>Besonders gut empfinde ich den Song aber nicht. Habe ich das gerade richtig gesehen, dass da neun Leute dran geschrieben haben? <br>Hat mit Singer Songwriter natürlich dann rein gar nichts mehr zu tun. Ein Megasong ist es trotzdem. Habe gehört, dass Iren diesen Song überwiegend hassen...<br>Mir gefällt er. Und zwar ziemlich gut. 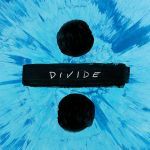 With many songs on his third album "Divide," Ed introduces the difficult and complex question of orientalism. Not an uncommon compositional device in classical music, this concept has originated across all forms of classical music, but came to a foray in the 19th Century with Romantic Composers seeking influences and appropriate music from Arabian and Eastern cultures. Perhaps the best example of this is Rimsky-Korsakov's Scheherezade, one of my favourite pieces of orchestral music. This is prevelant in compositional practices today, but was not really an issue in popular music until recently.<br><br>The real question, is how appropriate is appropriating music belonging to someone else's culture? Iggy Azalea received criticism for the performing and rapping of songs that she does not originate from. Is she celebrating black hip-hop culture, or appropriating it and taking ownership of it as a white person? I am not going to provide an answer for this, but the question needs to be asked. It is a complex situation that needs further debate in the public sphere.<br><br>"Galway Girl" is, thankfully, nothing of that sort. Ed himself has Irish heritage, he collaborated with Irish musicians in the song-writing process, and Irish culture is not too distant from British culture. (I'm not British and not an expert, but you could argue that Irish is a part of British culture. )<br><br>The song itself however, is tacky and forced. 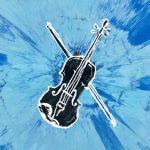 Within the first three seconds you are slapped with "SHE PLAYED THE FIDDLE IN AN IRISH BAND" before you have time to even consider skipping the song on the album (which I have been doing in my several listens of Divide). It screams of Ed saying "look at me! Irish music! I'm so creative11!111!111" and that leaves a bad taste in your mouth as the song progresses. Thankfully it's a very short 3 minutes of length. The songwriting screams of desperation to become a hit and there's nothing tasteful left. If you want a classy, interesting, and tasteful pop song with Irish influences, have no fear as there is one! I highly recommend "Nancy Mulligan" for a song that is just like this one but is a thousand times better, and it's on the same album!